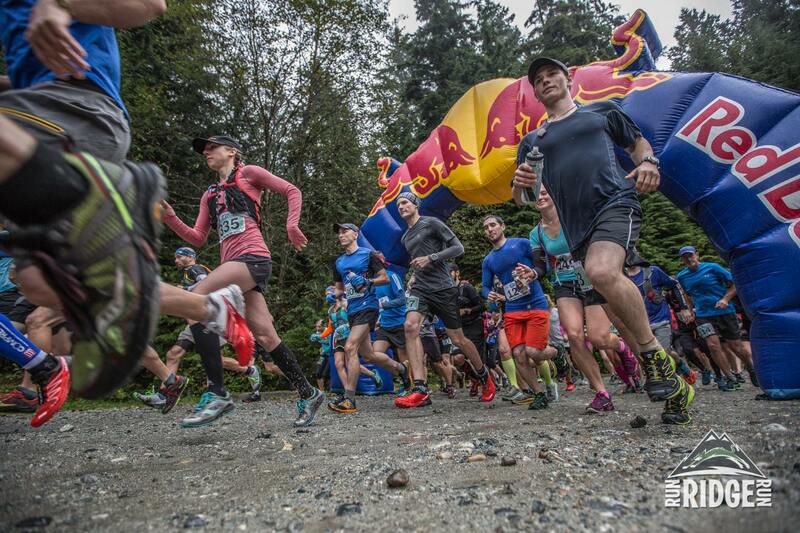 The Run Ridge Run 13km and 25km is the newest edition to the Coast Mountain Trail Series. 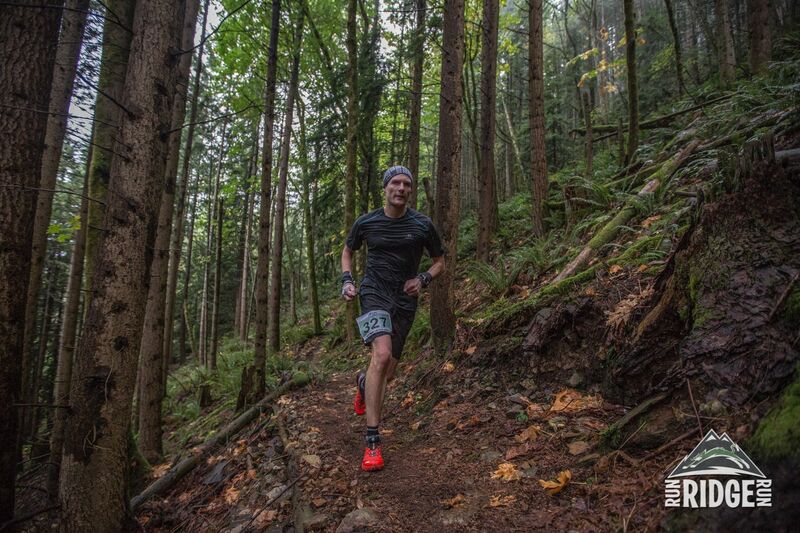 The 25km route essentially follows the Diez Vista 50k course (with just a couple of minor deviations), climbing up and along Diez Vistas Ridge before following Buntzen Lake back to the finish. CMTS races are known to be challenging, but so far I’d only had the chance to run the Cap Crusher and Squamish 50k which both proved to be just that. It’s a course I knew well, having done a lot of my training there this year in preparation for my Diez Vista 50k race earlier this season. I had also run the 5 Peaks Buntzen Lake race the two previous years, but skipped it this year since I had just run the Wonderland Trail around Mount Rainier the weekend before – I figured that Run Ridge Run would be a nice substitute and a little more suitable for me at almost double the distance. But considering all of the slow, long distance training I’ve been doing in preparation for my first 100 miler, 25km would still be at least 25 miles short! Definitely a Salomon Soft Ground kind of day! Race day brought with it the rain, but fortunately it pretty much cleared up before the start of the race. Lots of familiar faces were among the 71 runners lined up for both distances, including a few of the usual suspects and friends who I knew would mean trouble like Mark Green, Herman Alagao, and Ray Barrett, and speedsters Silas Wiefelspuet and Vincent Pagot. I took it easy for the first loop around the lake, settling in with John Mcgrath, Greg Welwood and Ray, and basically just trying to keep up with Darby Standrick (who would go on to take the win for the ladies). I soon lost sight of the lead pack and, by the time we hit the first climb, went to work on keeping Mark and Herman within sight. Ray and I paced each other up the big climb to the ridge, but he eventually dropped me when we hit the really technical stuff. I just hoped I’d be able to make up time on the downhill and then the flat runnable stuff near the end where I could stride out. One thing that would save me a bit of time was not having to stop at either aid station – I was carrying a 500 ml soft flask in a Salomon Park Hydro Handfree along with a few CLIF SHOT® Energy Gels, which I figured should be just enough. After a little more than halfway through the race, I passed a course marshall who told me I was in 8th place. Having been running on my own for quite a while and with no other runners anywhere in sight, I conceded that my ‘racing’ was pretty much done for the day and that I’d just need to hang on. It turns out I was wrong! The beautiful, new rolling single track which parallels the jeep track. I was making my way back along Buntzen Lake when I saw another runner up ahead on the gravel road. It was time to turn it up a notch and see if I couldn’t put some of this speed work I’d been doing to the test. As I passed him, Linda Wong who was with a few volunteers asked if this course wasn’t “a little short” for me? I was just getting warmed up, so yes! As I neared the 2nd aid station, another runner was just leaving and beginning the last climb back up to the ridge. As I rounded the corner, I could see that he was walking. Fortunately, this climb was one that I could always run during training. With two down, I’d now moved up to 6th place. Could I catch up with Ray? I reached the top of the climb and passed Duncan Coo who was coming the other way to catch Darby before the last big descent. He yelled out that Ray was about a minute ahead. Down the jeep track I went and then onto the sweet new single track which paralleled it – one of the deviations from the Diez Vista 50k course that we’d taken on the way out. By the time I hit the road and rounded the turn onto the final stretch of trail along the lake to the finish line, I was having doubts as to whether I’d be able to catch anyone else. The finish line indeed came too soon to gain any more ground and I crossed it in 02:37:43 in 6th place overall, just over 2 minutes behind Herman and 2:30 behind Ray. Mark had run a very impressive 02:33:41 for 3rd and, predictably, Silas had handedly taken the win in 02:18:34 with Vincent Pagot finishing 2nd in 02:24:55. 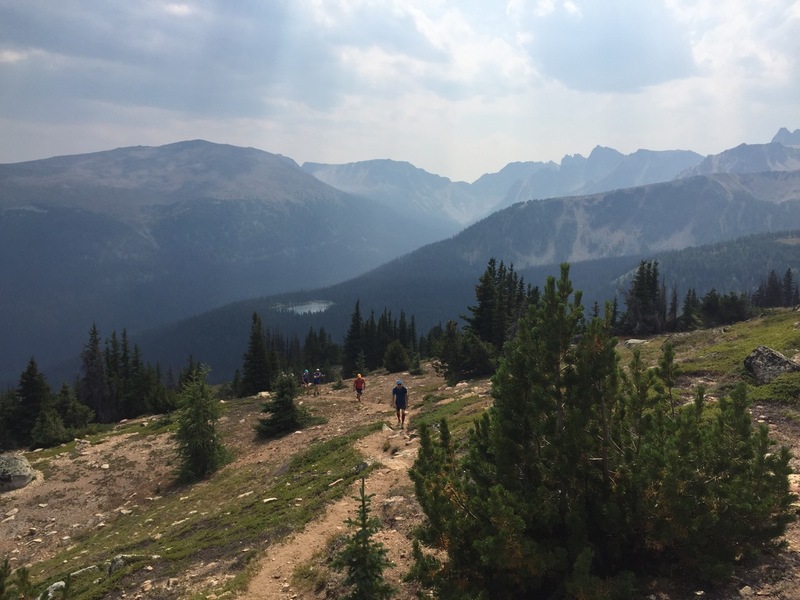 The inaugural Run Ridge Run definitely did not disappoint and I can see it acting as a great late-season preview for those wanting to run the entire Diez Vista 50 course the following Spring. 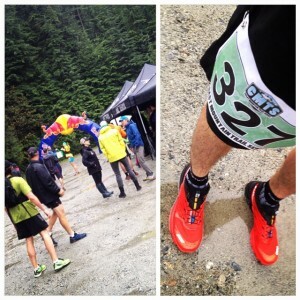 Congrats to Gary & Geoff from Coast Mountain Trail Series on another successful season! See the full 25k race results here. 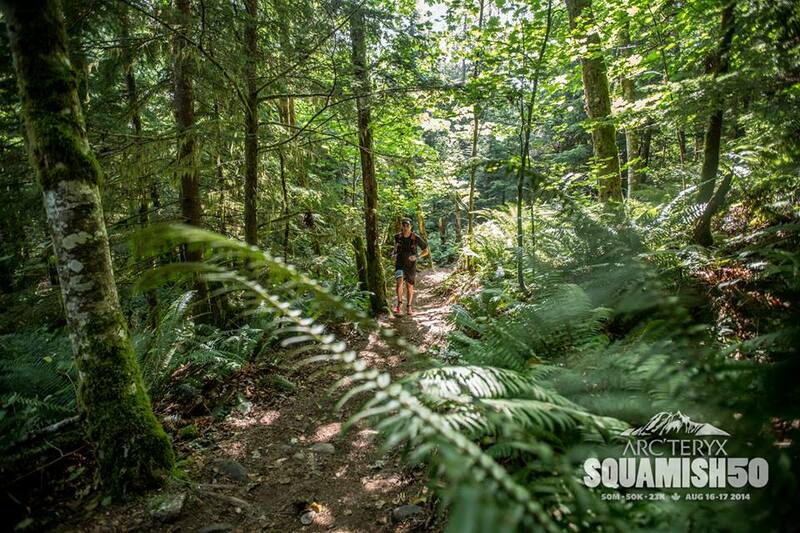 I’m a trail and ultra runner from Vancouver, and a sponsored ambassador for Salomon, Suunto, and CLIF Bar in Canada. 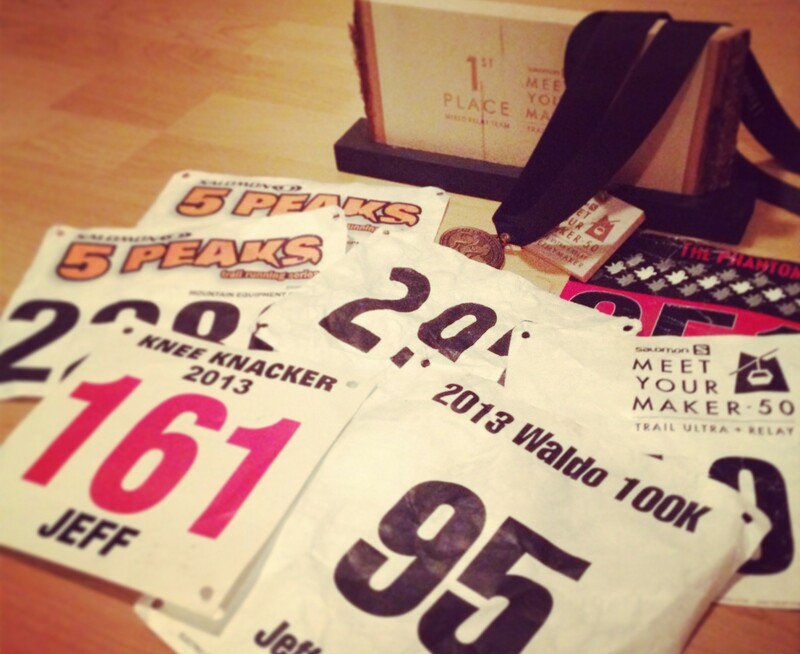 Oct. Training Recap: Taper Time!